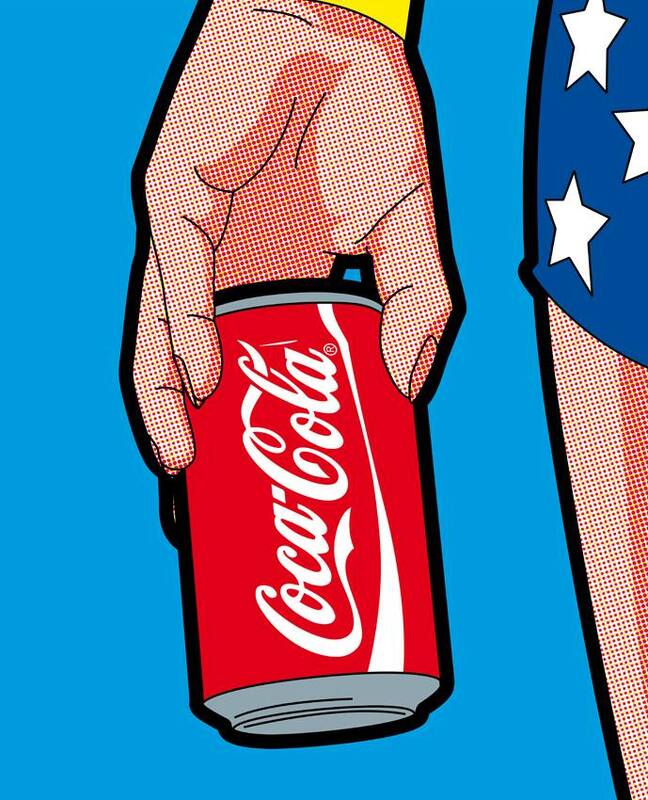 WHAT HAPPENS TO YOUR BODY THE HOUR AFTER DRINKING A COKE? 10 teaspoons of SUGAR hit your system. This is 100 percent of your recommended daily intake, and the only reason you don’t VOMIT as a result of the overwhelming sweetness is because phosphoric acid cuts the flavor. Your blood sugar spikes, and your liver responds to the resulting insulin burst by turning massive amounts of sugar into FAT. Caffeine absorption is complete; your pupils dilate, your blood pressure RISES, and your liver dumps MORE sugar into your bloodstream. Your body increases dopamine production, which stimulates the pleasure centers of your brain – a physically identical response to that of HEROIN by the way. You’ll start to have a sugar crash. Enjoy. AND HERE ARE SOME OTHER SHOCKING FACTS FOR YOU . . .
ONE SODA PER DAY INCREASES YOUR RISK OF DIABETES BY 85%! SUGAR IS ACTUALLY MORE ADDICTIVE THAN COCAINE! IF YOU ARE STILL DRINKING SODA, STOPPING THE HABIT IS AN EASY WAY TO IMPROVE YOUR HEALTH. WATER IS A MUCH BETTER CHOICE, OR IF YOU MUST DRINK A CARBONATED BEVERAGE, TRY SPARKLING MINERAL WATER WITH A SQUIRT OF LIME OR LEMON JUICE. THERE IS ABSOLUTELY NO REASON THAT YOUR KIDS SHOULD EVER DRINK SODA. NONE, NADA, ZIP, ZERO. NO EXCUSES. DON’T BE IRRESPONSIBLE! THE ELIMINATION OF SOFT DRINKS IS A COMPLETE NO-BRAINER! SO CUT THE SODA AND LOOK BETTER NAKED! Wow everyone’s an expert…but I really REALLY am. I eat nothing but processed sugar all day every day, even when I’m asleep I have a sugar-water drip canulated into my eyeballs, and I am totally healthy. I don’t even need to clean my teeth as the sugar does that naturally! If I ever put on weight I just eat MORE sugar and I lose it immediately. Don’t believe all the hype mums, feed your kids sugar, sugar and more sugar if you love them and care about their health! Pour some of that delicious coke on some of your rusted pipes and tell me it is good for our kids ..
eating healthy is a way of having more energy and living life feeling great. It’s not JUST dying slowly. You sound like someone who lives like a pig and is trying to justify it with completely false statements. Look it up on the Diabties website, it is so bad for anyone to have much coca cola. and it also helps to cause infertility. This is false I drink between 7 or 8 cans of soda a day and have so for 25 yrs my arc is always normal and I have only gained 20 pounds in the last 25 yrs that’s when I got out of the military and exercise any. This is just reactionary nonsense. Sure, its bad for you. But so are a lot of other things. If you have a family history of diabetes, probably better to go easy on the stuff. Absolutely no one has mentioned DIET COKE or ant diet drink for that matter. They are poison and should be banned but once again money is more important that peoples health. Innnn Americaaa. First you get daaa sugar.. then you get daa money.. then you get daa woman. I am tired of the arguments for and against coke….if it feels good for you then it is, and if it feels bad, then that is also true. I know that in my case if I drink too many cokes, apart from feeling drugged I have major come downs and sensations of withdrawals if drinking it too often. And then when I don’t drink it, I do feel better generally. But once in a while can’t be too bad. Maybe the stuff cleans toilet bowls, and corrodes metal, but the human body is stronger still! Look folks this is old news, and a lot of comments sense. I consume about 150 sugar packets a day and have for 20 years! I can not put on weight for the life of me and I eat alot of steak and pasta! I think what keeps me in good shape is the sugar sppeds up my metabolism. As far as diabetes its genetic! Just Google it! Good thing I drink Pepsi..
Oh well we all gotta die someday! No reason to argue whether over sugar, or cancer or what not. Yes water is much better for you. But some ppl just like/love coke cola. I think my kids would rather see me drink a coke then do heroin! Id rather see my mom drink a coke a day than have 5+ cigarettes a day. Nothing has been said about the phosphoric acid. It must be neutralized before your body can do anything with it . . . so . . . your body must “borrow” calcium from your bones to accomplish this. Your bones & teeth become porous & weak. Of course this deterioration takes a while, but by the time you experience symptoms it’s to late. Coke is cheaper in Africa than water…why is that? Anyone who consciously makes poor health decisions should liberate themselves from society so others who enjoy life and the thought of a long healthy one don’t have to pay for their medical bills. Sugar isn’t good for you.Artifical sweetners worse. Leave both alone.